Beaming Baby are my favourite nappies. 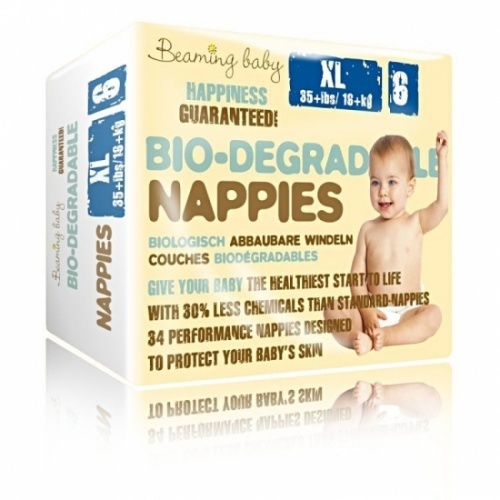 My daughter never gets a nappy rash in them, unlike other brands, and I love that they are a little better for the environment when you see how many nappies get used. They perform better than most other leading brands also. I have been using beaming baby nappies since my toddler was born in 2014, I have found them fantastic. We had an issue with quality in two separate packs but these were resolved quickly by Siobhan. We did try alternative nappies for a little while but found none were as good as beaming baby. We are currently using size 6 on our toddler and will be using them again on our new baby due this month.